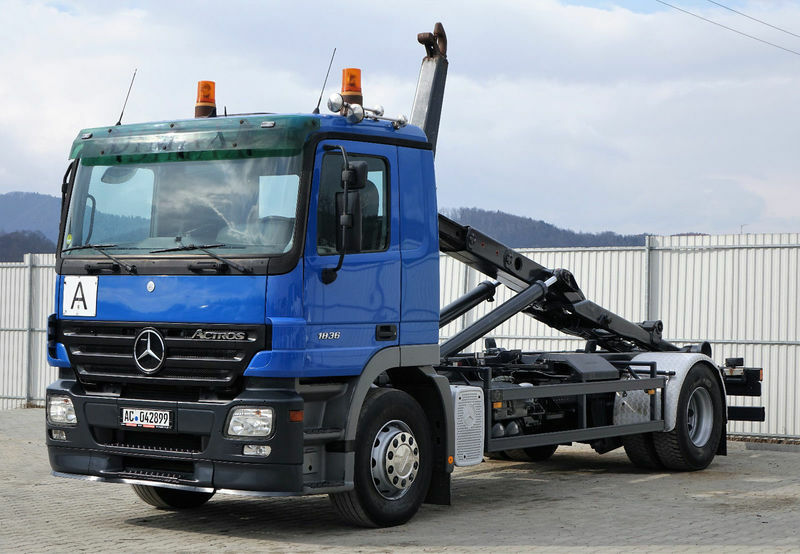 Mercedes-Benz Actros 1836 Abrollkipper * Top Zustand!! Engine details/gearing and fuel type: diesel, displacement: 11946 cc, 360 hp, gearbox: automatic, retarder/intarder. Body dimensions and options: loading length: 5700 mm. The mileage is 400000 km.